Children are precious, and parents long to protect their teens from danger. During the teenage years children are likely to come into contact with drugs at school, with friends, or during extra-curricular activities. According to the National Institute on Drug Abuse, more than 60% of teenagers admitted that they could readily access drugs at their high school campus. One of the lesser known teen drug abuse facts is that synthetic marijuana and prescription drugs are a growing trend. Teens have virtually the same access to these drugs as they do the more classic drugs, such as marijuana and cocaine. Teenagers are smart enough to realize that many common drug tests do not register these popular drugs. Synthetic marijuana, known as “spice” or K2 to savvy users, is popular with young people and is still not illegal in many states, although it is surely banned from every school. It is made by coating plant materials, usually ones that have a traditional place in herbal medicine, with a mixture of chemicals that produce a THC-like feeling when smoked. Vendors often market the product as incense, but both sellers and users know that it should be smoked. The drug mimics, but does not copy the effect of THC on the brain and the producers of the drug have taken precautions to keep the item off the Schedule I list of controlled substances by only using chemicals which are legal. When someone misuses a drug that is prescribed to them, or takes a prescription drug that has not been prescribed, it is drug abuse. Prescription drugs, especially Oxycodone based drugs, are popular among teens. These drugs can produce a relaxed feeling or high, but are very dangerous, can cause death and are highly addictive. 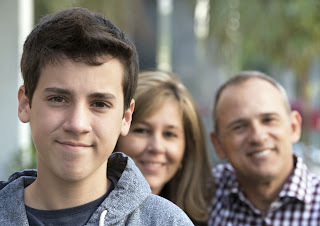 Children can easily access the drugs of their parents and peers. It is not surprising that legitimate teen users can sell their prescription drugs for extra cash while at school. Because synthetic marijuana and prescription drugs can be legally purchased in most states, many teens do not perceive the risks involved with its use. K2 or Spice affects judgment just as traditional marijuana, and can lead to unsafe decisions such as self-harm or driving under the influence. Prescription drugs can also cause the same unsafe situations, with the added risk of overdose. Overdoses from painkillers, according to the Center for Disease Control, now outnumber both cocaine and heroin overdoses in America. For today’s conscientious parent, a regular marijuana test may not be enough. Because of the disturbing trends of synthetic marijuana use, along with the dangerous abuse of prescription drugs among teens, it is vital to use a test that will identify a larger range of drugs. The most in depth test will allow parents to keep their children safe and will detect synthetic marijuana, prescription drugs, and common street drugs such as heroin, methamphetamines, and cocaine.